Social media contest, advertising strategy and execution. 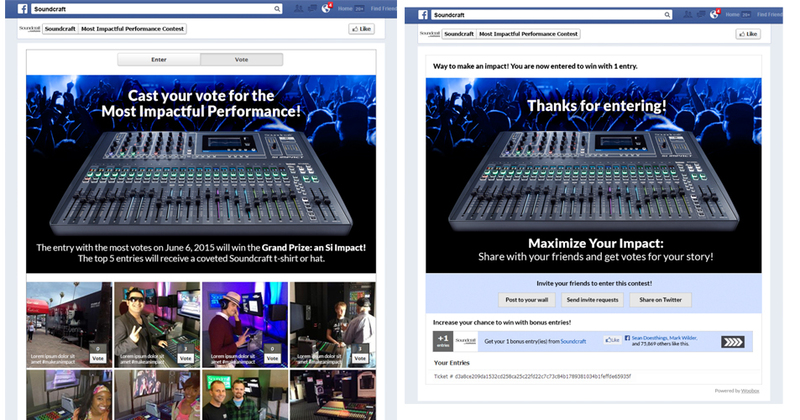 Programmatic digital advertising on Google, YouTube and Facebook; Email campaigns and contest landing pages. 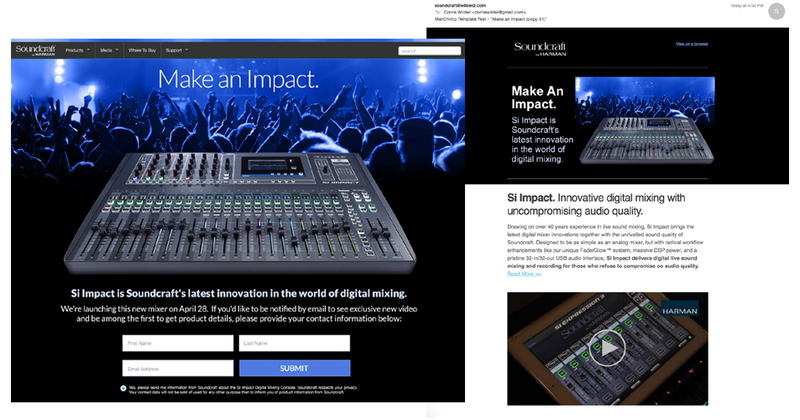 Soundcraft is one of the stalwart brands of the concert sound mixer markets, renowned, especially in Europe, for some incredible products over the decades. In an effort to improve market share and brand recognition in the US market, we were engaged to help launch the new SI Impact via social media contests, advertising and execution. 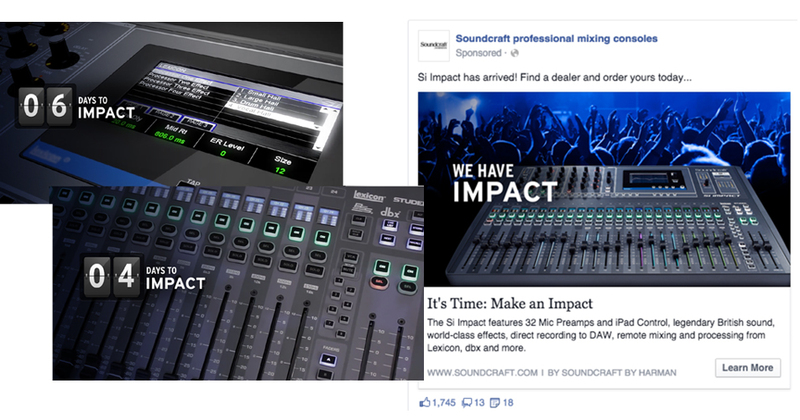 Si Impact Contest drove over 20k added Facebook fans, over 3 million brand and product impressions, 118k votes on the contest.